Although listed as a 3 bedroom, this unit can sleep 8-10 people comfortably with the multiple levels & living spaces. 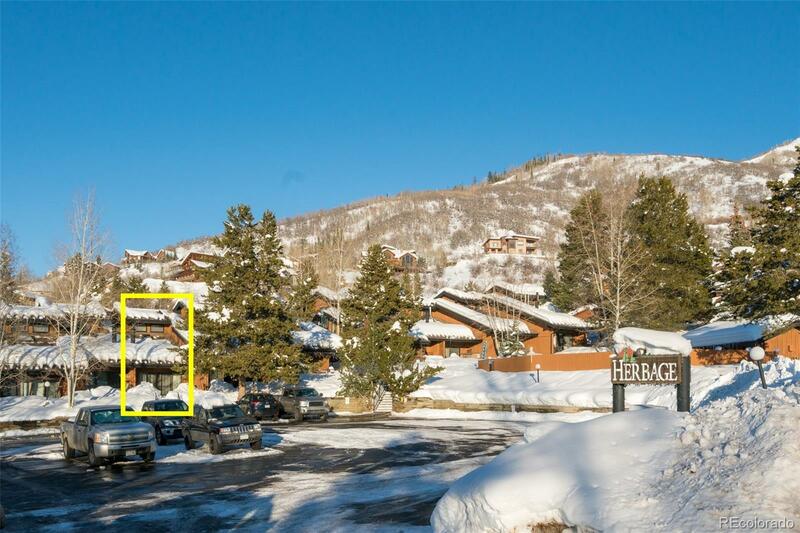 Located just across the street from one of Steamboat's bus stops, it currently serves as a vacation rental/retreat where guests can easily enjoy free transportation around the mountain & downtown. Perks for owners in building D include a larger back patio facing a lawn area (vs facing a gravel rd), easy access from the parking lot, & one of the closer units to the large summer pool. Stainless appliances, a gas range, and beautiful marble countertops modernize the kitchen, while exposed wood beams, the gas log stove and planks on the walls give the feel of a comfortable mountain retreat. The main level and upper-level master suites have undergone bathroom updates, while the upper master has been fully enclosed for privacy. Downstairs, the bedroom is set up with bunks and has its own private living room. The complex has recently put on new roofs & restained all buildings.